Petit Verdot is a red-wine grape originating in the Bordeaux region of France (but see the "Factoid" below). Though traditionally used almost exclusively in small amounts in the traditional Bordeaux blends, it has acquired a second life in the New World, and is now often considered one of the dozen and a half or so of world-class red-wine grapes (those in boldface in the varietals lists up the the page). Its popularity with winemakers in its native region had declined severely owing to the vineyard difficulties it presents in that climate; but, in the much more beneficent climates of the New World, it is almost a diferent grape, coming to a late-season maturity that allows it to express itself in impressive monovarietal wines. Varietal Petit Verdot is distinguished by a deep violet color (one U.S. Winery calls its PV "Inkblot"), high tannin levels and acidity, and a strong, rich flavor. That flavor is variously described as involving notes of dark fruit, cedar, tar, and spices (typical of Bordeaux varieties), as well as less typical overtones, such as (especially when young) banana and vanilla. It is often compared with Syrah for the sorts of wines it makes. To be a success, a monovarietal bottling requires not only good grapes, but some care in the vinification: the high tannins typically want to be tamed a bit with some oak aging, but if such oaking is overdone, it can easily obscure the fruit and other inherent flavorings of the wines (a problem with oaking not limited to PV wines, but especially problematic here). But, to repeat, grapes grown in warm, long-season climates present distinctly fewer such problems, allowing substantially less oaking and decidedly more exciting wines. 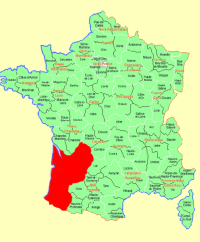 Factoid: There is much speculation that PV was brought north to Bordeaux from an original warmer Mediterranean home by the Romans; that makes sense, as it seems unlikely that the grape developed in a climate so ill-suited to its growth as Bordeaux. "When young its aromas have been likened to banana and pencil shavings. Strong tones of violet and leather develop as it matures." "Petit Verdot is a highly concentrated grape, exuding abundant color, structure and flavor - with many preferring to approach it with the "less is more" philosophy and diluting its potent power by blending. However, for those that have ventured out into the Petit Verdot spotlight, featuring the grape as a stand alone - the expected aromas circle around vanilla, smoke, spice, cedar, molasses and even tar. The Petit Verdot flavor profile often includes dense, dark fruit, to the tune of blackberry, black cherry and black plum. " "Fruit: vinous, black fruits, blackberry. Terroir: leather. Oak (light): vanilla, coconut, sweet wood. Spice: pencil shavings, molasses, tar. Oak (heavy): oak, smoke, toast, tar. Herbal: weeds, nettles. Bottle Age: cedar, cigar box." "The aroma of a Petit Verdot includes smoke, leather and earth tones. It can also include flavors such as peppers, spices and minerals. A Petit Verdot is not recommended for those who enjoy a fruity wine because long aging in oak barrels usually fades the fruit flavors in the Petit Verdot wine. . . The good news is that when the Petit Verdot grapes are planted in suitable climates and they are properly cultivated, the grapes develop into small winged clusters, which are loosely filled with round, dark colored, thick skinned grapes which can produce incredible wines." "The characters to look for in Petit Verdot are its intense colours, the wonderful fragrant nose, rich flavours and soft tannins. Primary Fruit/Floral Notes: Petit Verdot is incredibly generous with floral fragrant aromas early on that carry on into its middle life—Lavender, rosewater, musk, violets, fruity banana esters, fennel seed/star anise and white blossoms. Sweet ripe red/black/mulberry notes will be seen very early on, but are usually overshadowed by the floral fragrance/esters predominating. Secondary Fruit Flavours: With age, Petit Verdot likens to a dimension between sweet and savoury with the fruity floral flavours developing into deeper "moreish" characters . . . Licorice, graphite/lead pencil, cola, sweet beetroot reduction, blood plum, blueberry, leather. "[In blends] it adds additional tannin, color and a unique flavor profile that can manifest itself with aromas of flowers, olives or when very ripe, blueberry characteristics. When not fully ripe, Petit Verdot tends to be a sharply acidic, unpleasant grape for wine." "These thick-skinned grapes produce wines with mouth-gripping tannins that are so powerful that they often leave the palate with a puckering sensation. The aroma is strong and encompasses earth, leather, smoke and cigar box tones. On the palate, the taste is smoke, spice, minerals and peppers. Due to the high levels of tannin that require long oak aging to soften, there is typically a lack of final fruit sensations in Petit Verdot." "During a good vintage, Petit Verdot is amazing on its own. It is purple and inky in color with dense, dark; fruit flavors (think black berry or plum). 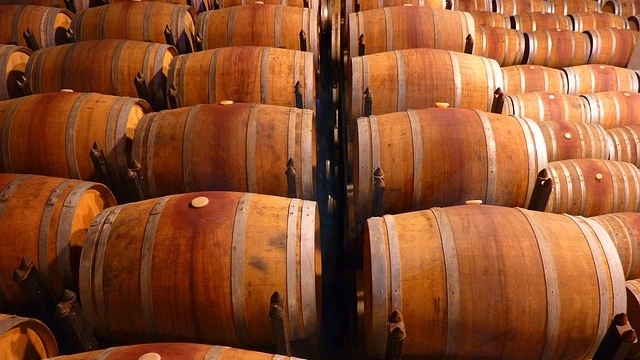 The single varietal aromas can include vanilla, smoke, spice, cedar, molasses, and even tar." 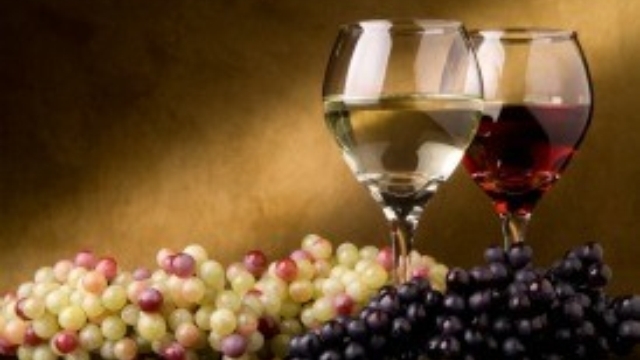 "Taste can vary greatly, depending upon the age of the grapes at harvest. Younger grapes will have a rather banana-like taste, with a woody edge, while older grapes will tend to produce a violet or leather flavour. In South Africa, the Petit Verdot grapes are rather sensitive to drought, which can give an acidic taste to the wines, but where it is grown and tended carefully, the wine is likely to be a dark, fruity taste which has a full body. 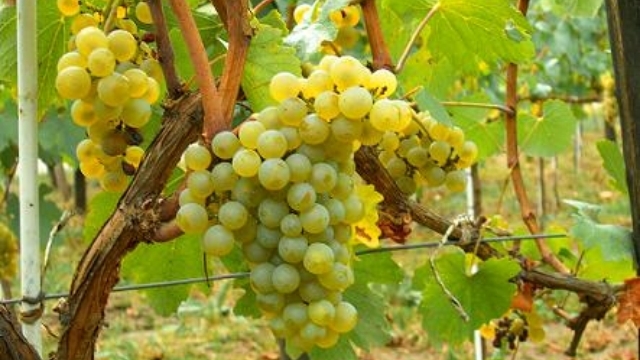 If the plants are not carefully irrigated, then they can produce an excess of acid which will make the resulting wine too astringent to easily swallow. However, with the South African weather allowing Petit Verdot to ripen successfully, the wines produced should be extremely tasty, with full body, meaty taste and fresh fruit aromas, all of which can be savoured when drinking a single varietal Petit Verdot wine." Regrettably, the superb Escafeld PV is no longer made, but here are some well-respected specimens of Petit Verdot. The grape is now mainly Argentine, but we include samples from the U.S.A. and France as well. We found that while there are quite a few Petit Verdot wines with nice reviews, very few of them are both within our price limit of $20 and reasonably widely distributed. That means that if you see a varietal Petit Verdot at your favorite wine merchant, don't hesitate to give it a go; but the ones listed here all have at least modest availability. Because Petit Verdot is still under-appreciated—at least in the U.S.—in many cases there was something of a paucity of reviews for some of these wines. But here they are anyway. ♦ Dense, dark, almost black colour. Violets, plums, black fruits and currants. Plush, rich and glossy. ♦ This wine has an incredible deep color and concentration with a plush, velvety body. Good development in the nose gives aromas of cedar, graphite and banana and in the mouth you get ripe black fruit with nice oak characteristics like toast and cigar box. Finca La Luz has been making excellent Petit Verdot since forever, and I wonder if this could not become the 3rd “new” varietal to come out of Argentina. ♦ Rich black fruits, with hints of tobacco and dried fruits. Dry and intense, a wine that would be best with food. ♦ [L]ike the man says, there’s nothing “Petit” about it. This rocket fuel wine, not for the faint of heart and perfect for those Summer drinkers looking for something that can stand up to barbecue sauce. Petit Verdot, typically a blending grape in Bordeaux, takes the bigger is better game to a whole other level in this massive, crowd pleasing wine. ♦ Finca La Luz Callejón del Crimen Reserva 2012 was awarded a Double Gold Medal at the CWSA [China Wine & Spirits Awards] 2013. ♦ Sight: Dark cherry colour. Nose: Aromas of candied fruit and mineral. Tear wide. Mouth: Very tasty palate. Intense tannins. ♦ [T]heir Petit Verdot has always been memorable. . [It] is certainly a nice wine with rich flavors. Dark ruby in color with notes of red fruits, plum and blackberry with hints of caramel and pencil shavings. In the mouth, a nice fruit and oak balance is struck. This wine has a bit of grip to it, with a medium finish. This is a nice example of an Argentine Petit Verdot. ♦ Vibrant and vivid mouthful of dark and ripe berry, plum, cherry and pomegranate flavours with hints of earthiness, finishing with fresh liquorice and mineral and rich, full tannins. Rated: Very Good. ♦ Mendoza, Argentina is one region that has great potential. Ruca Malen, a modern enterprise founded by French partners in the Uco Valley is one winery taking a serious shot. The 2010 Ruca Malen Reserva Petit Verdot is a huge wine, thick and drenched with flavour, yet still unmistakeably sinewy on the finish. Stick some in the cellar. ♦ Lots of violets and inky lead on the nose. A big, well judged wine showing lovely juicy tannins, black cherry, clove and chocolate flavours. ♦ Interesting Petit Verdot from Lujan de Cuyo, Mendoza at a great value. Nice fruit mostly black cherry and berry with chocolate and cacao notes. Mostly initial and middle palate with short finish. Somehow boring in terms of complexity but attractive. I´d say 86 points. Hardly good value. ♦ Unfortunately, this one was not as good as we expected. It showed just a hint of tobacco and mature fruit aromas on the nose and it was hard on the mouth, with astringent tannins and a salty aftertaste. ♦ This was a bit lighter with riper tannins than most renditions that I have had with aromas and flavors of red fruit, caramel and pepper with a long spicy finish. ♦ [It] was black and concentrated with hints of herbs and black currents and was nicely balanced. 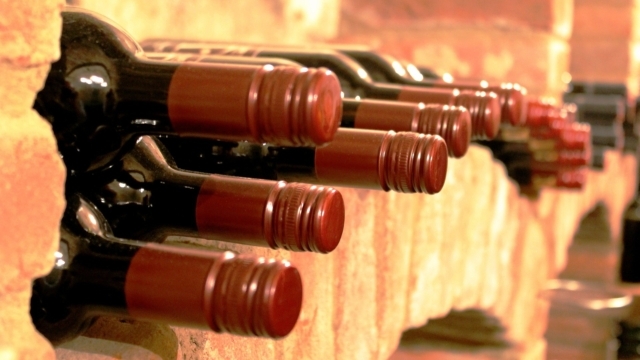 ♦ The…2012 is a bold and irresistible red wine. Powerful aromas of sweet tobacco, soy, blackberry, and rosemary pour from the glass. Texturally firm in the mouth, a luscious streak of WA ripeness is balanced by fresh acidity that highlights seductive black fruit. 89 points. ♦ Raspberry and plum aromas are earthy, intriguing and suggest fresh cement. This PV feels a bit clampy and syrupy in weight. Flavors of herbal berry, plum, toast and pepper finish with manageable tannins. Overall this is uncomplicated and quite good for something that's off the grid. 89 points. A good choice would be the Marqués de Griñón Petit Verdot Dominio de Valdepusa.